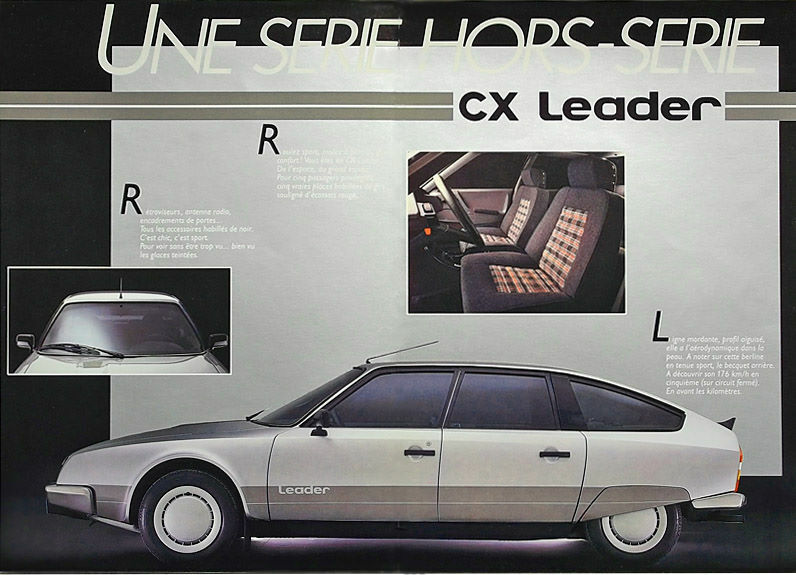 CX:Leader.カタログ : CITROEN-CATALOG-GALLERY : by CITROEN DS. 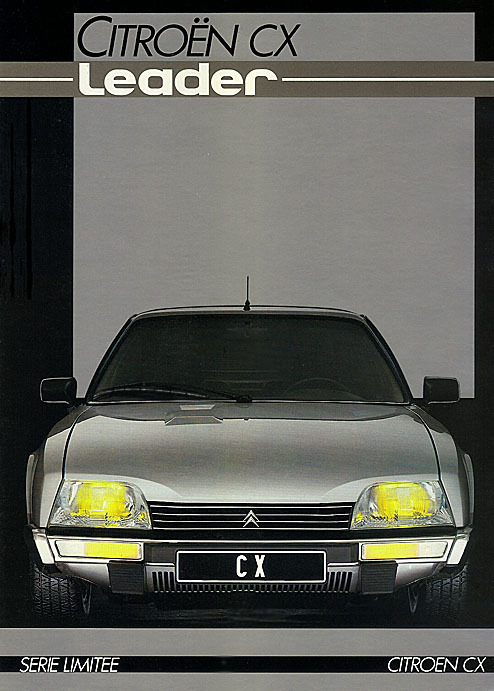 ◆ CITROEN CX "Leader" SERIE LIMITEE : ANNEE - MODELE 1984. Catalog. ◆ Creation roux, seguela. cayzac & goudard. Edition La Publicite Francaise Paris - Imprime en France. 02 84. PHOTO by FinePix AV 230.
by citroencatalog | 2012-05-15 17:03 | CX,Break,Familial.